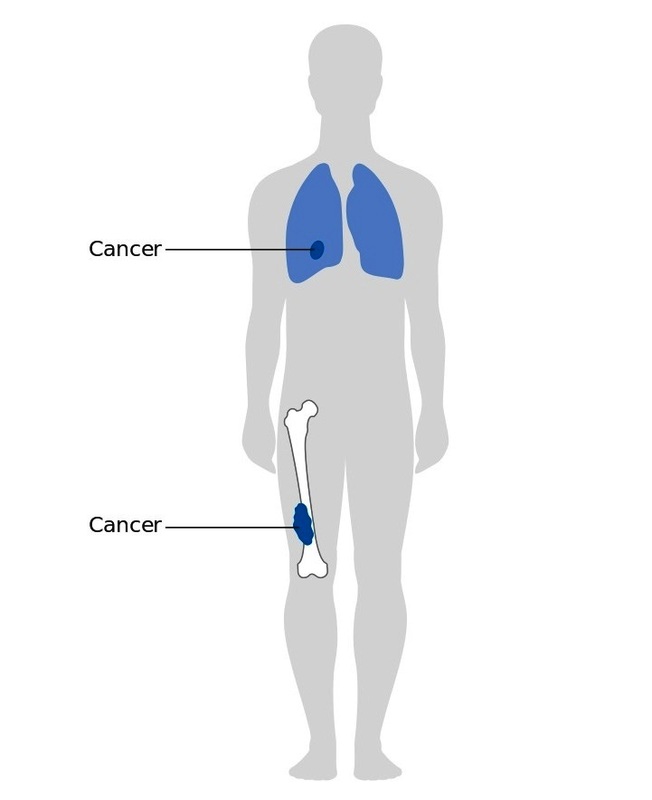 Bone cancer can begin in any bone of the body, but it mostly affects the pelvis or long bones such as of the arms and legs. 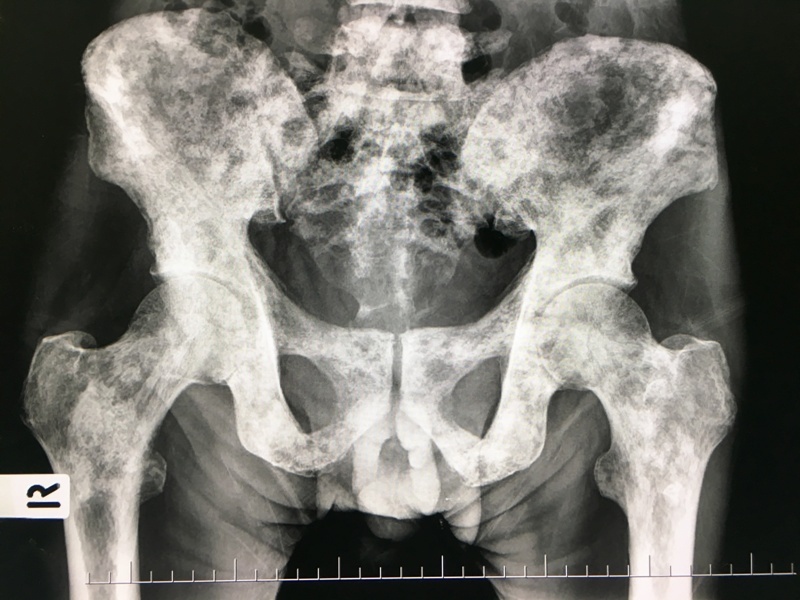 The tumor on pelvis first crosses the sacroiliac joint, which connects the bottom of the spine with the pelvis and then grows to the sacral neuroforamen. 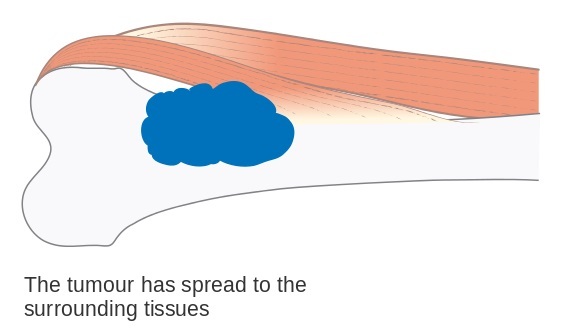 The tumor in the pelvis or hip region spreads to the femur which is a lower thigh bone. In later stages, the tumor grows around blood vessels or affects blood flow. The plasma cells are a type of white blood cell in the bone marrow. In multiple myeloma, a group of plasma cells becomes cancerous and multiplies. Multiple myeloma is a unique cancer that attacks and destroys bones. Cells build up in bone marrow and take over the healthy blood cells. They form abnormal proteins that can damage your bones and kidneys. Treatment options for multiple myeloma are target therapy, biological therapy, chemotherapy, bone marrow transplant, etc. 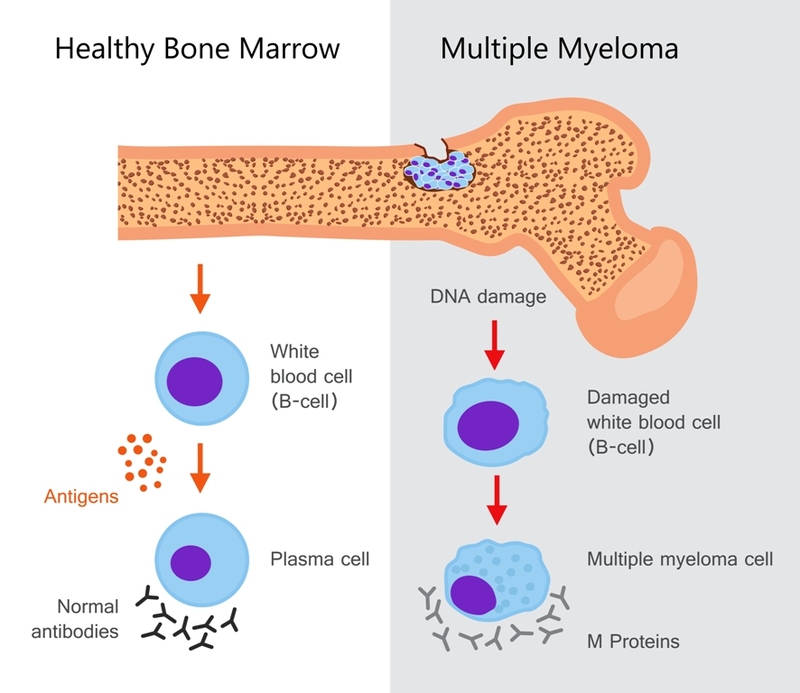 Multiple myeloma is not a very common type of cancer but is the second most common blood cancer after non-Hodgkin lymphoma in the United States. 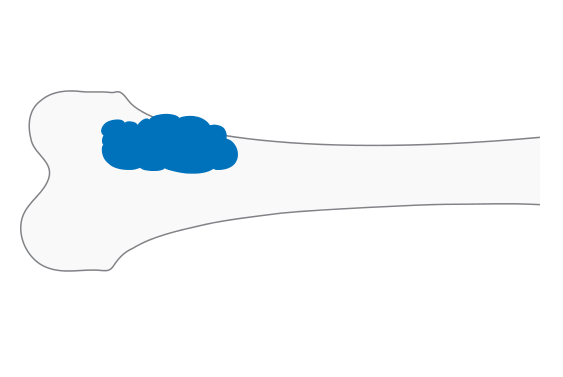 The illustration shows a type of bone cancer - Osteosarcoma. 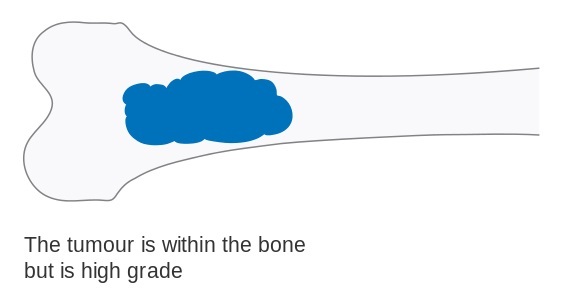 The cancer produces immature bone. It is the most common type of cancer in bones and is usually found at the end of long bones, such as around the knee. It is estimated that osteosarcomas make up to more than 60% of primary bone cancers and also account for about 12 % of all childhood cancers. Osteosarcoma is supposed to be a very aggressive cancer and more than 80% of all cases are supposed to be highly malignant.